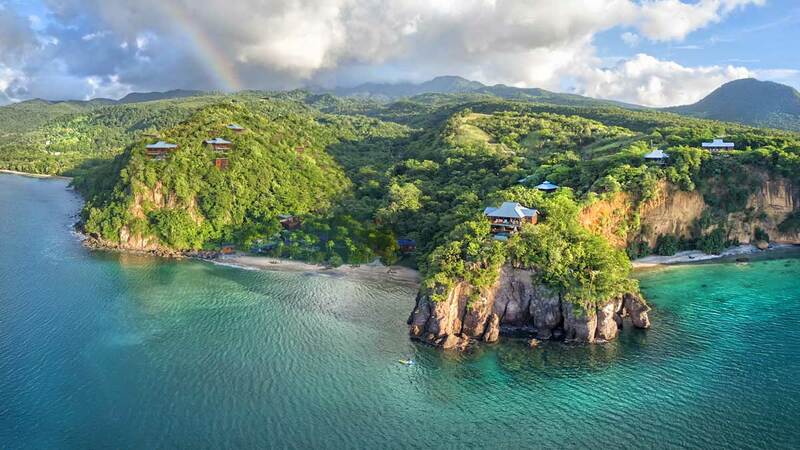 Secret Bay is a trending, award-winning luxury boutique resort, hidden within a serene clifftop rainforest on the Caribbean island of Dominica. It is Dominica’s first five-star resort and one of the most celebrated in the Caribbean. Secret Bay has received widespread international attention for its hideaway aesthetic, intimacy and seclusion, earning numerous accolades, such as the “World’s Best Boutique Hotel” and “Best Honeymoon Hideaway in the Americas” in 2016. Since its reopening in November 2018, the resort has already appeared on top lists of well-known publications and travel heavyweights, like TripAdvisor and Condé Nast, and on the cover of Travel + Leisure magazine’s April 2019 issue. With The Residences at Secret Bay, the resort expand to a limited collection of 42 eco-luxury, fully-appointed villas and villa estates across 33 acres, complete with world-class amenities, private plunge pools, a spa and wellness pavilion, open-air restaurant and magnificent landscape and ocean views. As an island famed for its abundant natural beauty, the values incorporated into the resort are ones that mirror Dominica’s own ethos: one of sustainability and reverence for the natural environment. Secret Bay prides itself on its commitment to protecting and supporting the area, which includes using locally-sourced produce, opting for biodegradable food packaging and conscientiously siting each structure to minimize impact on the land. The resort is equally committed to the livelihood of its local residents, with staff establishing a ‘Community Development Fund’ for the nearby village of Tibay. However, one of Secret Bay’s most exciting features is its recent stamp of approval under Dominica’s Citizenship by Investment (CBI) Programme. Since 1993, highly-vetted global individuals and their families have been able to secure second citizenship by investing into Dominica’s economy through a monetary contribution aimed at enhancing the country’s development. There are currently two channels of investment available: a contribution to a government-held national fund or purchasing shares in pre-approved real estate, such as The Residences at Secret Bay. For investors interested in the real estate option, pricing starts at $218,000 USD per share or $1,220,800 USD per villa in The Residences at Secret Bay. Prospective applicants can now book a two-night ‘Residences Discovery’ experience, involving an inspection of the property, airport transfers, welcome dinner and more. With tourism in Dominica expanding at a steady pace, the agreement between the Government of Dominica and The Residences at Secret Bay to under the arm of the island’s CBI Programme marks the government’s commitment to the ecotourism industry. 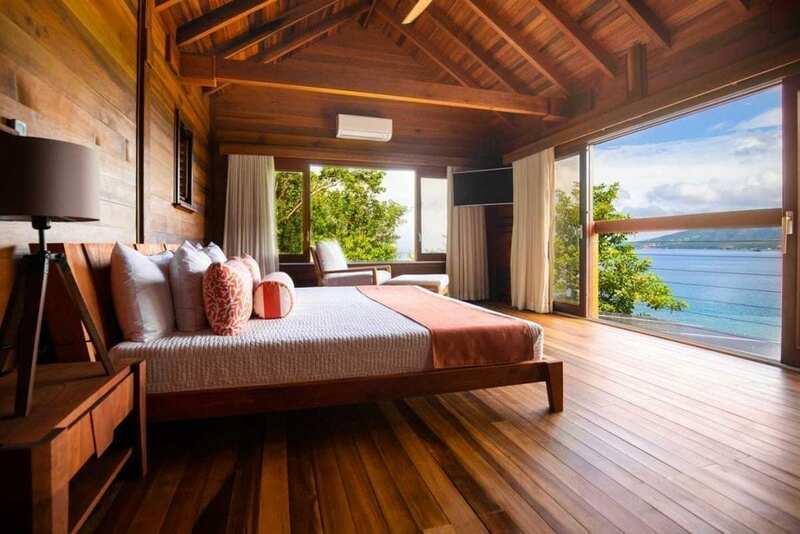 While several villas are already fully completed and operating to critical-acclaim, the 42 eco-luxury villa development is expected to become “one of the best, if not the best, resort in the Western Hemisphere here in Dominica,” as noted by Prime Minister Roosevelt Skerrit. On one hand, this will provide applicants to Dominica’s CBI Programme with an opportunity to invest in real estate with real returns, while, on the other hand, creating at least 120 sustainable jobs in the local community and promoting the island’s thriving ecotourism sector. With its successful CBI Programme, sustainable values and international support from the likes of the World Bank and the UK Government, Dominica edges one step closer to its goal to become, as pledged by Prime Minister Roosevelt Skerrit, the “world’s first climate resilient nation”.